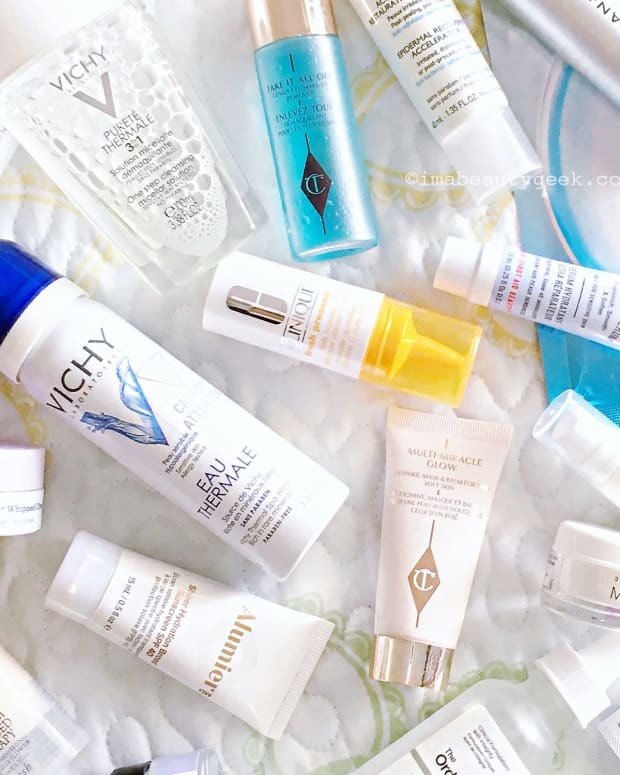 WHAT BEAUTY PRODUCT TO YOU USE MOST? 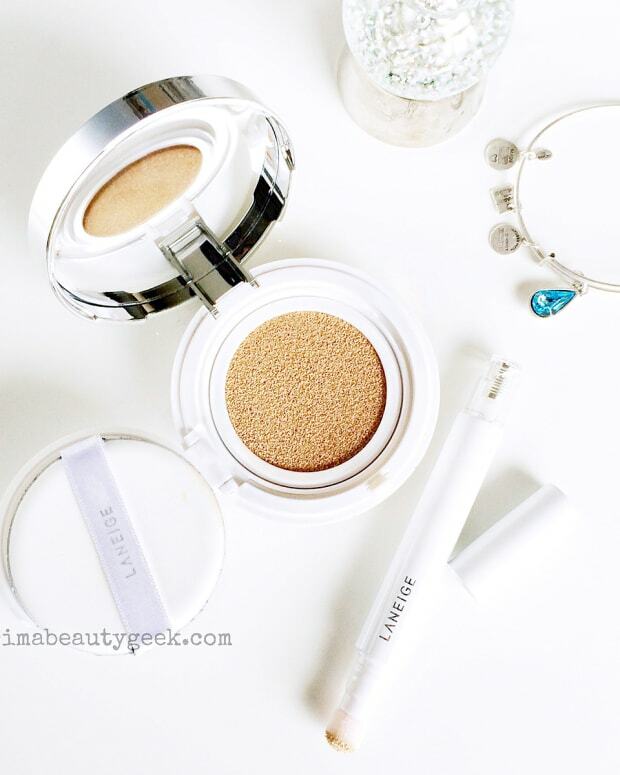 If beauty products were like Thanksgiving dinner, what would your gravy be? Now I want stuffing and gravy. Again. Canadian Thanksgiving was in early October – so long ago! – and all the talk of the US Thanksgiving holiday has me craving pumpkin pie, tooooo! But I digress. 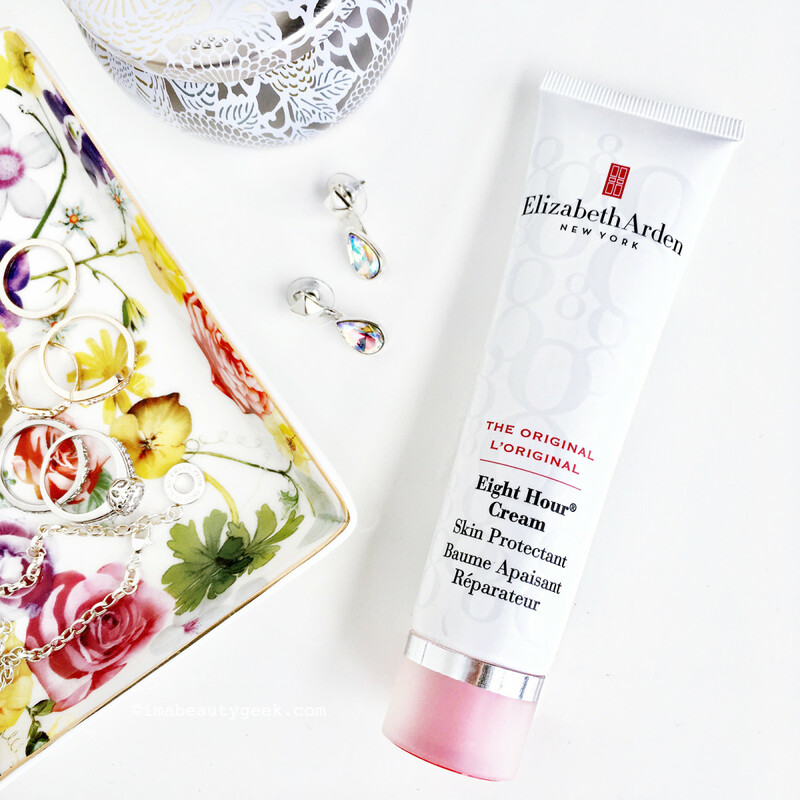 For me it&apos;s Elizabeth Arden Eight Hour Cream Skin Protectant ($29 CAD at thebay.com and $22 USD at ulta.com). I use it mostly as a lip balm – it&apos;s the right texture to keep my usually dry lips supple and comfortable. Just as important, it lasts on the lips without feeling like it&apos;s solidified or dried out. I know there&apos;s an actual lip balm in the Arden Eight Hour lineup, but I prefer a soft emollient format that drapes easily over and into dry crevices as it&apos;s applied. The balm texture is also useful as hand moisturizer – it&apos;s magic over patted-dry skin – as well as on face and body. Or tapped sparingly atop cheekbones as a highlight over makeup. The medicinal scent doesn&apos;t bother me, but when I&apos;m on a flight, if I need to use it on my hands or arms, I try to do so away from other passengers. we heart this There’s a Beauty Advent Calendar this holiday season that’s $350 in BIG name, full-size products and you can get it for just $88 with free shipping. Go forth and purchase! Beautygeeks is talking about fear-mongering marketing, betrayal and a natural-beauty backlash with forbes.com! Beauty Junkies Unite Love sneak peeks? So does Amber! Here’s a sneak peek of an awesome eyeshadow palette from Urban Decay, Distortion! Blushing Noir Love Urban Decay? Love to enter huge giveaways that are open internationally? Then you NEED to check out this massive Urban Decay Giveaway and enter ASAP! Clumps of Mascara Urban Decay Heavy Metals collection has been rockin’ Brittany&apos;s world, so much so that she did a video all about it. EauMG Are you familiar with Houbigant Quelques Fleurs? It’s a little OG floral perfume from the 1910’s. Well, Houbigant has launched an updated classic that Victoria&apos;s smitten with: Quelques Fleurs Jardin Secret. fanserviced-b Tracy shared her personal holiday wishlist on the blog this week, featuring some info on new at-cost candles and how to score a coveted beauty advent calendar for half price. Gouldylox Frizzy hair that soaks up product like a lost wanderer in the desert? THIS may be your issue and Kelly&apos;s got the products to fix it. My Beauty Bunny has a list of cruelty free beauty brands at Sephora. Bookmark this handy list for holiday shopping! Phyrra Courtney&apos;s excited to be sharing her first impressions, swatches and comparison to the Kat Von D Alchemist palette, and 3 eyeshadow looks with the new Urban Decay Distortion Palette! Prime Beauty If you’re on the fence about the new Urban Decay Heavy Metals Palette, read Prime Beauty’s review and check out the swatches! Realizing Beauty Can an at-home beauty device take on gravity and produce visible tightening and wrinkle reducing results? Christa is taking us on a 10-week journey with the Silk’n Titan to find out. Plus there is a chance to enter to win one for yourself! So, what&apos;s your beauty gravy? 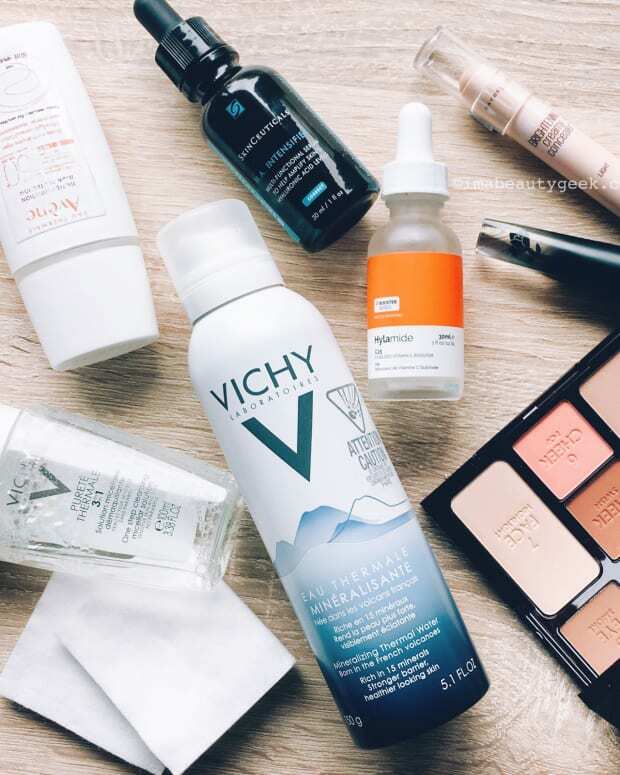 The product you use with everything, every day? And what did you think of that tip from my friend&apos;s flight-attendant mum?? WHAT PRODUCT ARE YOU MOST THANKFUL FOR RIGHT NOW?